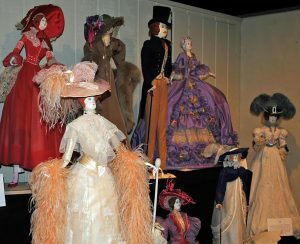 Ballard spent more than three years creating the 40-inch-tall, papier mache figures by hand, and artist Armande de Navarre painted each face with its own unique expression according to Charlotte G. Whitted, Executive Director of Crab Orchard Museum. TAZEWELL, Va. — A collection of the work of the late Pete Ballard, renowned artist and teacher, is now on display at the Crab Orchard Museum in Tazewell, Va.
Ballard, a Welch native who had lived in Peterstown for many years before he passed away last year at age 85, donated his collection of fashion dolls to the museum’s permanent collection in the early 1980s, but they had not been exhibited in their entirety in many years. 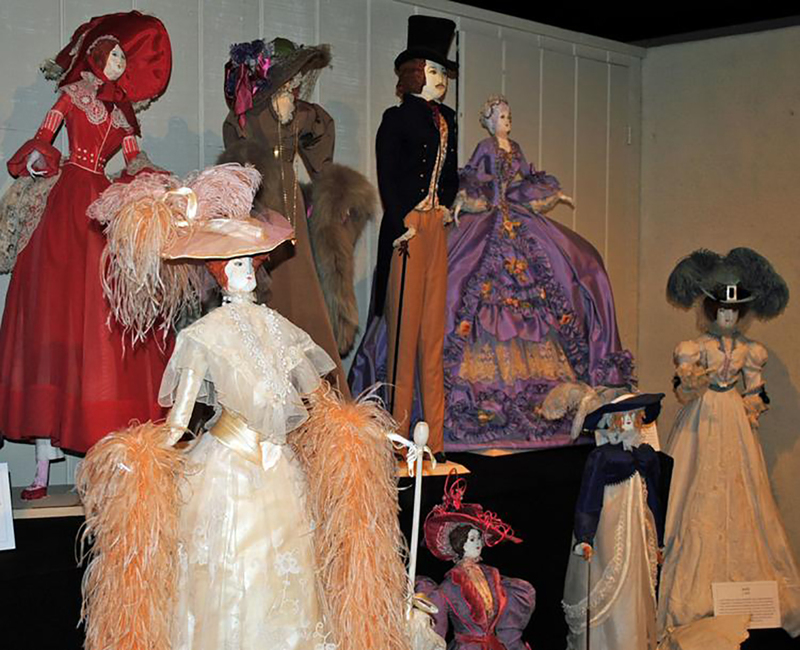 “Individually, they are interesting, but collectively, they are striking,” says Charlotte G. Whitted, Executive Director of Crab Orchard Museum.